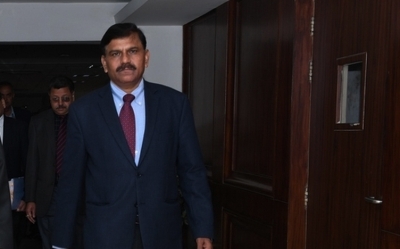 New Delhi, Feb 12 (IANS) Former acting CBI Director M. Nageswara Rao may have been reminded of his school days after the Supreme Court held him guilty for not following the court's order. But he is not alone when it came to disobeying the court. On Tuesday, Chief Justice Ranjan Gogoi held Rao and CBI's in-charge of prosecution S. Bhasuran guilty of contempt of court for disobeying the order not to transfer Additional Director A.K. Sharma probing the Bihar shelter home case. On March 6, 2002 the Supreme Court had convicted the Booker Prize winner, Arundathi Roy for committing criminal contempt of court and sentenced her to one-day jail with a fine of Rs 2,000. She was punished for allegedly raising slogans against the court during a demonstration at its gate in December 2000. Recently, the Supreme Court issued notice to advocate Prashant Bhushan on a contempt plea filed by Attorney General K.K. Venugopal and the Centre saying that Bhushan tweeted the government "fabricated" minutes of a selection panel meeting on the appointment of then acting CBI Director M. Nageswara Rao. In October 2018, the Delhi High Court initiated contempt proceedings against Swaminathan Gurumurthy, Editor of a Chennai-based Tamil weekly news magazine 'Thuglak', for his tweets against sitting judge Justice S. Muralidhar. In some cases, Indians court have taken tough stand against the accused for not following court's direction. On February 7, the Delhi High Court directed Swan Telecom promoter Shahid Usman Balwa and six others to plant over 15,000 trees in the Delhi South Ridge, observing that they have failed to file a response on an Enforcement Directorate appeal challenging their acquittal in the 2G case. On October 16 2018, The National Green Tribunal (NGT) imposed a fine of Rs 50 crore on the Delhi government for not taking action against illegal, polluting steel-pickling units in the national capital's residential areas. On November 14 2018, the NGT ordered Punjab Government to submit a fine of Rs 50 crore as environmental compensation for polluting rivers Sutlaj and Beas due to uncontrolled industrial discharge.